We at The London Removals want to make you believe that a removal doesn't have to be such a stressful experience. We understand how you feel when thinking about relocation and believe that you shouldn't have to deal with all the stress on your own. Not only are there many financial obligations involved when it's time to relocate, but trying to find the best removal company can make the whole situation even more frustrating. We, at London removals, will always strive to offer you the best service possible and live up to, if not exceed, the expectations you have. Our company definition of a successful removal is one which includes perfect service, performed by well-trained specialists who are ready to do anything to achieve customer satisfaction. We always offer the highest quality of service to our customers because their satisfaction correlates to our success. 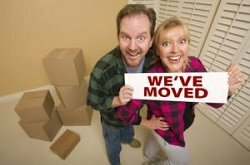 We have the necessary experience and expertise to solve any of your moving problems, and we will show you that the notion of a great moving experience is not fiction. However, it is important for you to know that if you still have not decided on where exactly you are going to move, take a look at the counties in London's surroundings, rather than the city itself because of the huge difference in costs. London is known as one of the business capitals of the world, so it is understandable that property prices in its central zones are astronomically high. Some of the counties most preferred by commuters are Essex, Kent, Berkshire, Surrey and Buckinghamshire because of their convenience and reasonable rates. The estimated amount of commuting per year ranges from £1,000 up to £2,500. However, if you want to feel the atmosphere in the heart of the City of London, you certainly have plenty of reason for moving there. The nightlife and culture it offers cannot be found anywhere else. There are perfect areas for residing as well, and house removals London will help you to get settled in one of them quickly and safely, and at a great rate. North London is known as an industrial area offering many convenient means of transportation and lots of businesses. Archway and Hampstead are great towns in this area. But if you are looking to mingle with different people and have a love of great nightlife as well as busy markets, you should know that North London is your place and Wembley, Kilburn and Notting Hill are just some of the areas where we can help with our London moving house services. West London is known for its lower housing prices compared to the properties in the North, whereas South London is the area offering the most greenery and parks. The only thing you have to do is to determine which area suits you when planning your move and decide how your removal process is going to unfold. It is certain that if you decide to rely on the professional services offered by our company and hire London man and van, no time will be wasted in attempts to locate the new area you are moving into. Our company has navigation systems at our disposal for all of our removal vans and can be your friendly guide on the removal day. Parking in London is another factor that should be taken into consideration. It can be a very serious problem for the smooth execution of your move, especially if you have not secured a parking permit for the removal van in advance. A quick call to your future local council will help ensure a trouble-free moving day. Flexibility in terms of the moving date is another very important feature that you should be looking for when choosing a Removal Company that is appropriate for your needs. Imagine yourself in a situation when a short-notice move needs to be handled and you are dealing with a moving firm that does not have enough trained specialists and vehicles in order to help you? That will not be the case if you choose our man and van London service. We are a large removal company that will help you in every step when planning your upcoming Office Removal or International Relocation. Since our company can handle any type of removal, our helpful movers and customer representatives can show you that for us, there is no such thing as a tough job. If you are looking for reliable Storage Units where your items will be kept safe and not affected by bad weather conditions, you can fully entrust us with their care. There is not a strict period for using our Storage Facilities so you can take advantage of them for as long as you need to. The most important step you have to take is to give us the opportunity to show you that we are truly capable of keeping our promise for a perfectly conducted removal and surpassed expectations when it comes to removal services. If you think we deserve to be given a chance, call us today by dialing 020 8811 8920 and let us show you how much we appreciate you as our customer. We will prove to you that you made the right decision and we are worth every penny spent for our tailored, professional services. Mortgage Rates Are At An All Time Low - But Where Do They Go From Here? This is an excellent moving company. Their customer support are also great and very helpful. The two movers were very careful with all of my belongings and handled everything very professionally. I would recommend them to anyone who needs to move. I moved to a new house a few weeks ago. I used the professional services of Movers London and they did an amazing job for me and took a great care of my possessions. Thank you very much! I want to share my good experience during my relocation with London Removal as well. I hired three men and they were wonderful. They were extremely careful with my items and worked very fast. Thank you very much for the huge help.